All cadets who join the navy need to undergo elaborate training. The cadets will undergo training on combat warfare in the sea and areas related to the same. Senior navy staff will also need to be given training on the latest technologies and techniques used in the navy. The navy training roster helps in these training exercises. An employee has to undergo induction training when they join an organization to get familiar with the organization processes and tools to be used in their role. Specific training’s are conducted based on the skills required for an employee. 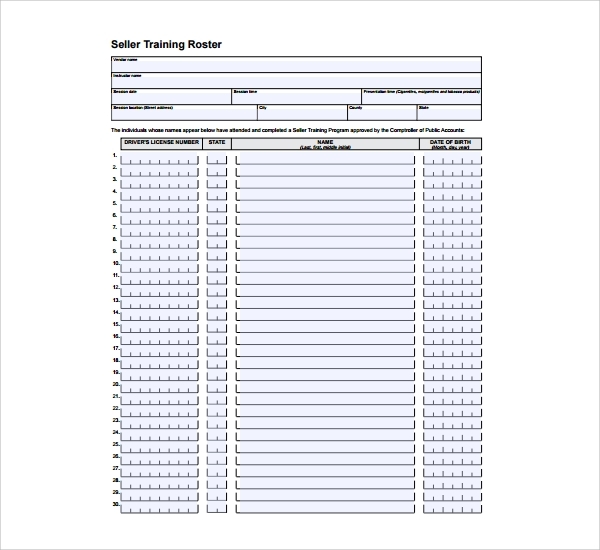 An employee roster training template will help to make a roster for employee training. 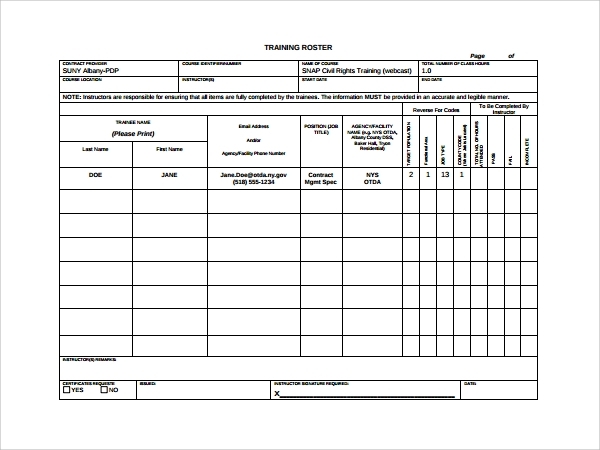 A training attendance roster is a standard roster which is used to record the attendance of students in a training class. The roster is widely used by the trainers. Safety training is an important training schedule in an organization. Safety training and audit is carried out especially where employees work in hazardous environment and also where employees need to take care of ones own safety. Every organization places a lot of importance on the safety of employees and would like to gave zero incidence. 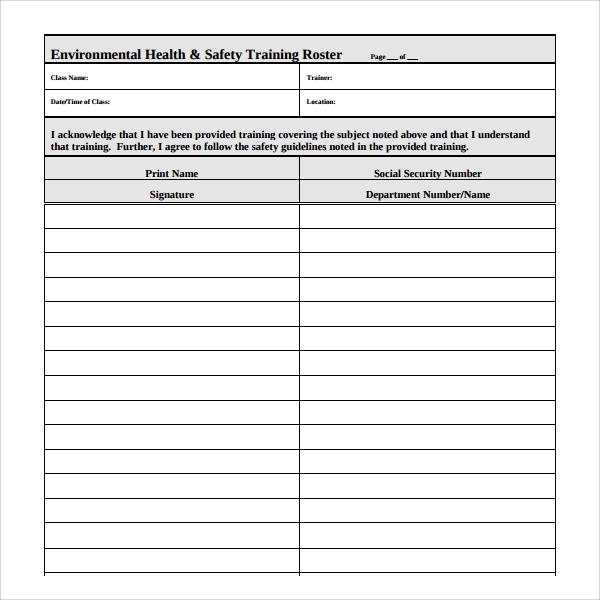 The safety training roster helps them to plan and record the training conducted. Training roster is used to mark the attendance of the students in a classroom. 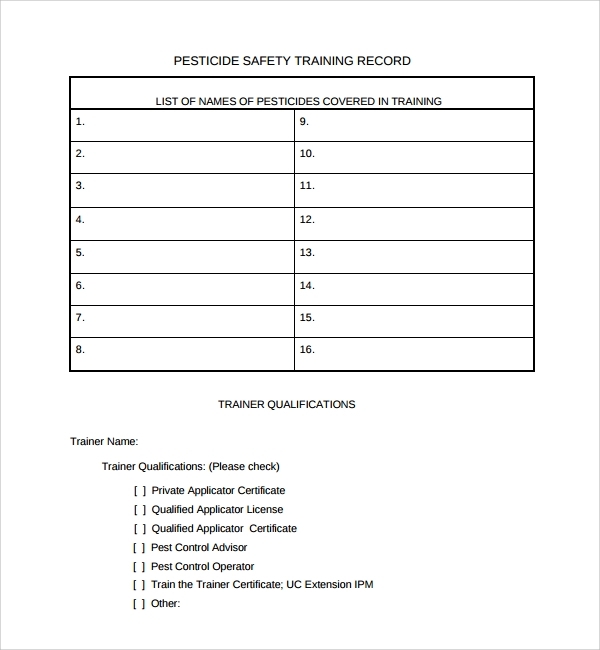 Some organizations have mandatory training which needs to be attended by all the employees. 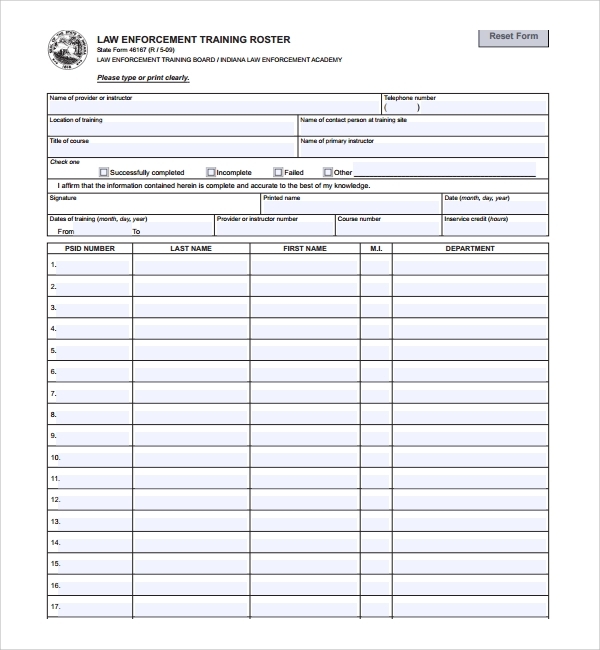 The training attendance roster will help in tracking this compliance. 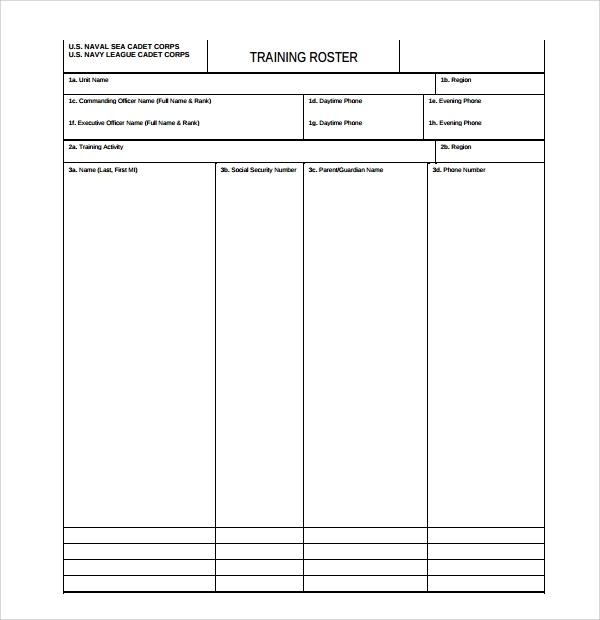 A training attendance roster template can be used by the trainers to create the attendance roster. 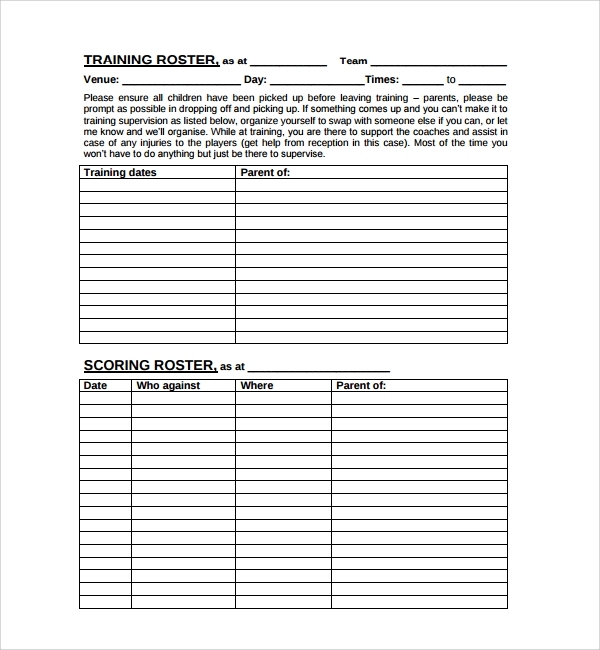 We have multiple training roster templates available with us for you to use. 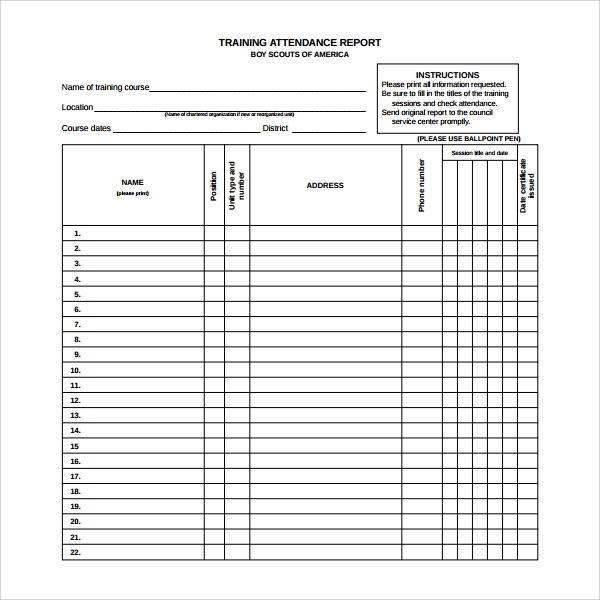 These are available in excel, pdf and word document format. This is easily printable format for you to take multiple prints and use it. It is tested on variety of printers. Please feel free to download and customize it as per your needs.